Cogentas has a dynamic and proactive operational structure in which the executive committee has a direct link to a consultative board. 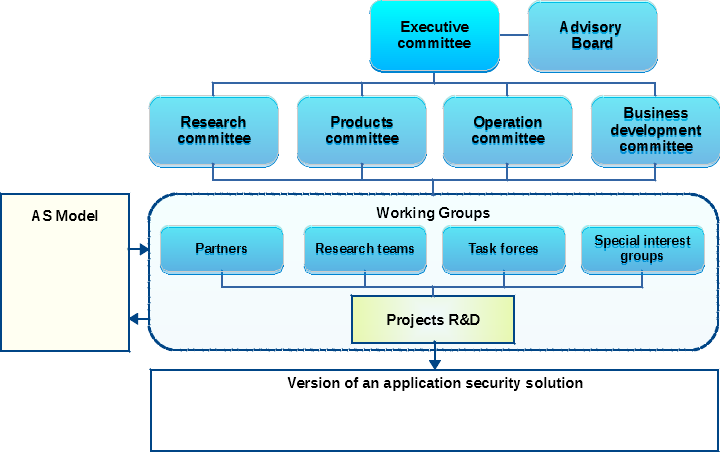 The executive committee also links multidisciplinary and complementary working groups working on research and development projects aimed at the development of knowledge and the implementation of application security solutions. Awareness of the needs of organizations combined with the synergy of talent, innovation and commitment of our team of professionals and researchers enables our Institute to carry out research and development (R&D) projects leading to the deployment of innovative, useful and usable AS solutions.